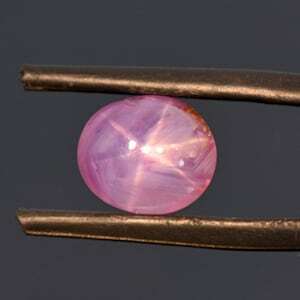 Size: 34.03 x 17.08 mm. 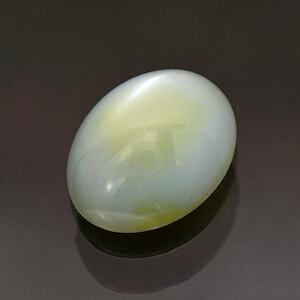 Prehnite is an obscure and beautiful silicate mineral that looks lovely when set into jewelry. 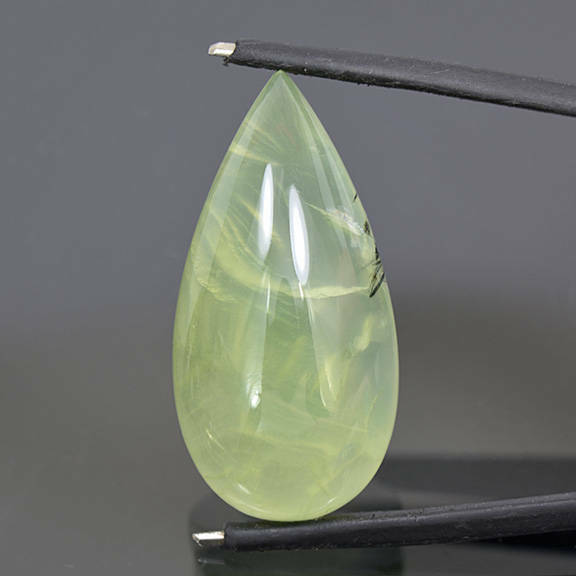 Prehnite has a unique appearance that is almost velvety and enchanting. 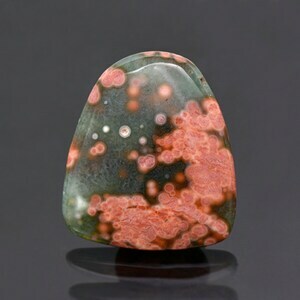 This gem has several small and well defined Epidote crystals on the side. 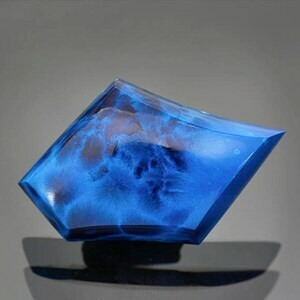 This material came out of Mali several years ago in one large find, and no more of the material has been found there since. The color is a pretty mint green color that is very attractive. 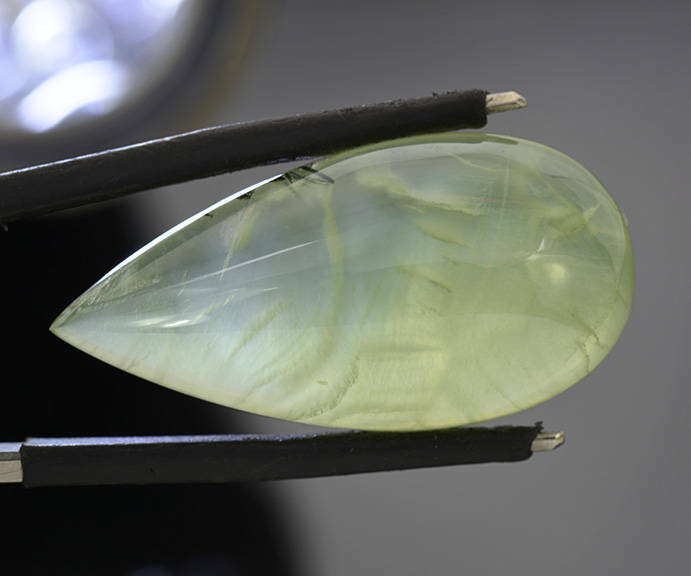 This stone will make a lovely pendant with a nice bezel setting. 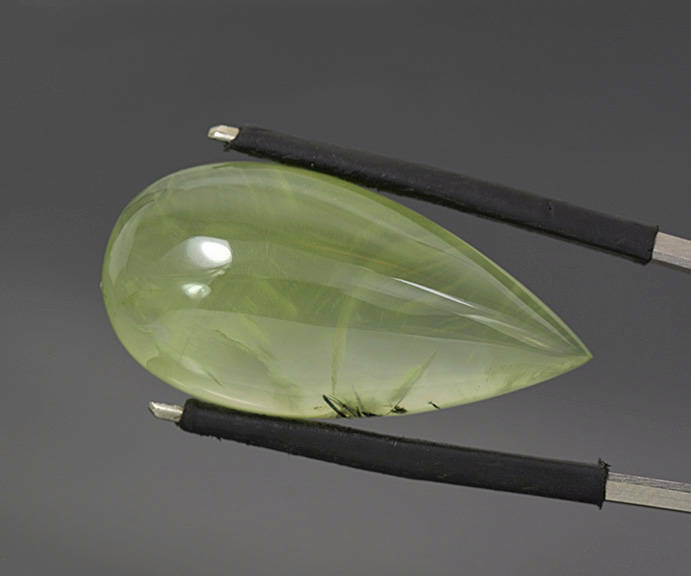 I just love this material, and wish there was more of it. Enjoy!